'Crux', being Latin for 'cross', commonly known as the 'Southern Cross' (in contrast to the Cygnus (constellation) Northern Cross), is the smallest of the 88 modern constellations, but nevertheless one of the most distinctive. It is surrounded on three sides by the constellation Centaurus while to the south lies the 'Fly' (Musca). 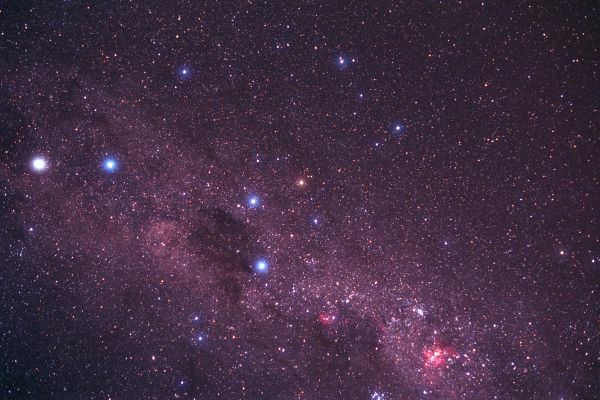 Crux was originally thought of by ancient Greeks as part of Centaurus, but was defined as a separate asterism in the 16th Century after Amerigo Vespucci's expedition to South America in 1501. Vespucci mapped the two stars, Alpha Centauri and Beta Centauri as well as the stars of the Crux. Although these stars were known to the ancient Greeks, gradual precession had lowered them below the European skyline so that they were forgotten.